At Bartow Ford, we offer more than just a selection of new, used, and commercial vehicles. 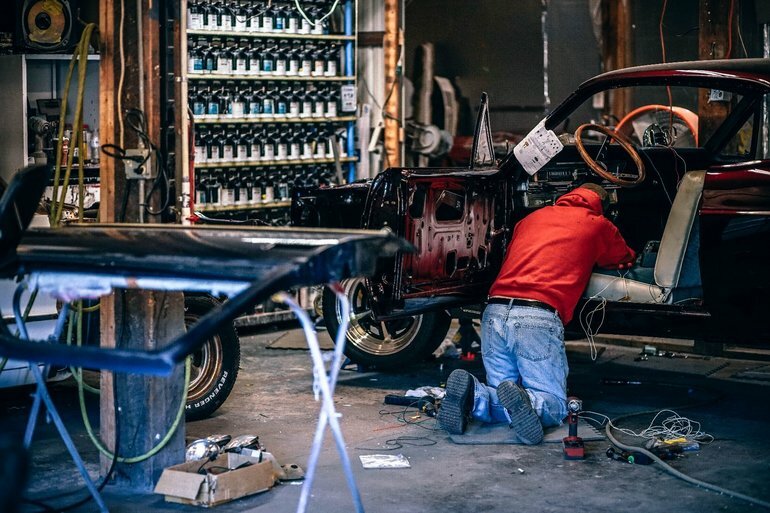 We also have a well-equipped service center with highly-trained technicians that are ready to help you with all your car service needs — at any time of day. Starting August 1, we’ll be adding our Night Owl Service where we will be open until midnight. Our Lakeland area Ford dealership, Bartow Ford, will work with you to keep your vehicle in proper running order with regular maintenance and timely repairs. Our dealership is one of the few in the area to offer a heavy-duty truck center. In fact, we have one of the biggest centers dedicated to those heavy-duty Ford trucks within Polk County. It includes 14 diesel-specific work bays as well as seven master diesel technicians. You are unlikely to have a vehicle too big to handle in our heavy-duty truck shop, since our lift can handle as much as 20,000 pounds, which is perfect for road tractors, RVs, and more. Thanks to this lift and the dedicated work bays, those with heavy-duty trucks can get all the same services done at our dealership as their counterparts with smaller vehicles. In a perfect world, you would only have to visit our service center for regular maintenance, but accidents happen. Our state-of-the-art Collision Center is here to ensure your car gets back to top shape and that this happens in a timely manner. Whether it is a major accident, minor scrape, or something in between, you will get award-winning service that makes use of the latest technology for fast turnaround times. To give you further peace of mind, we guarantee the work of our Bartow Ford Collision Center with a workmanship body warranty. For those times that you need something simple done quickly, just stop by our Quick Lane, where you don’t even need to make a reservation. You can use the Quick Lane for basic services such as batteries, tires, oil changes, and brakes, among others. Although we are a Ford dealership, our technicians have experience with all makes and models. While you wait for a Quick Lane service, you can enjoy the free Wi-Fi, TVs, and café in the waiting area. 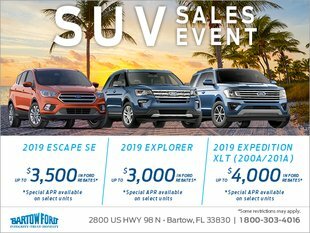 We encourage you to take advantage of our service at Bartow Ford as your Lakeland area Ford dealership. Give us a call or schedule your service appointment online. You can reach us at 800-303-4016 for all your service center needs.